Critter Squad Wildlife Defender Volunteer Program! Work with animals Today! Hey Defenders. Have you ever wanted to make a difference in the world? Do you have the urge to challenge yourself in a field full of excitement and rewards. Are you interested in learning about the daily life of a zoo keeper or what an animal educator is? Do you love animals? Then volunteering in an animal facility is something for you to consider. Volunteering in general, is a great way to be involved with your community and there is millions of volunteers all over the world who are working constantly to make a difference. Volunteering is an altruistic behavior and to put it in the most simplest terms, means that it is done selflessly to help others. Altruistic behavior is seen in lots of animals as well as humans. Dolphins, Vampire Bats, Monkeys, Raccoons and many other animals practice selflessly helping others and some research shows they feel good after doing it. When humans volunteer to directly help other humans or animals they are submersed in multiple good feelings and feel more connected to the ones they are helping. It is even believed to raise your immune system when volunteering! How cool is that? 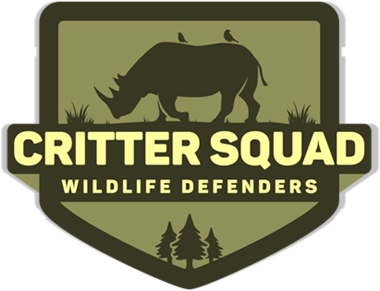 Critter Squad Wildlife Defenders has opened their new Defender Volunteer Program from people looking to make a difference in the world of animals and we have started accepting volunteers! Our animal volunteers are able to volunteer with minimal and flexible schedules and spend time learning and enjoying animals! We accept volunteers over the age of 16 and can accommodate volunteers of different skill levels and background. Critter Squad Wildlife Defender Volunteers will help with animal enrichment which can include everything from making toys, to walking reptiles in the sun and even brushing rabbits! Volunteers will also be able to work on zoo cleaning and maintenance, prepping food and assisting zoo staff with specialty animal jobs. Critter Squad Wildlife Defenders is dedicated to making sure volunteers are also excelling and learning valuable skills for use in the animal world, along with preparing the for a future as a team member with the Critter Squad Wildlife Defenders. Don’t hesitate! Get those volunteer hours and those skills you have always dreamed of having and apply now to become a Critter Squad Wildlife Defenders VOLUNTEER! Head to https://www.crittersquad.com/d-v-p-critter-volunteer-program/ to print the application and then you can send your information to our email gowild@crittersquad.com We look forward to your future services.